- Property is surrounded by R-2, R1-6, and R1-8 zoned developments. 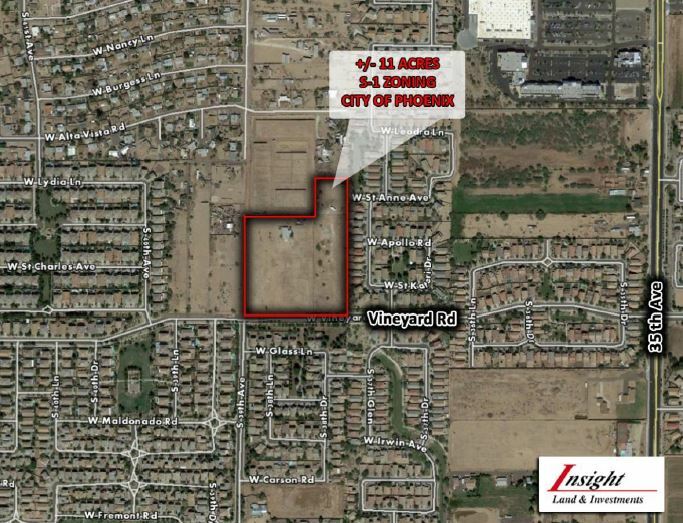 - Great in-fill location in the Laveen sub-market. - Owners will give a qualified homebuilder the necessary time to entitle the property prior to closing.